This card uses simple paper piecing, sanding and embellishments to make a clean & graphic card for my Mom. 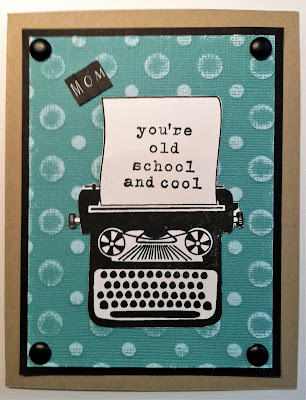 She taught typing and keyboarding for 30 years so I knew I had to make her a card with this typewriter stamp. 2. 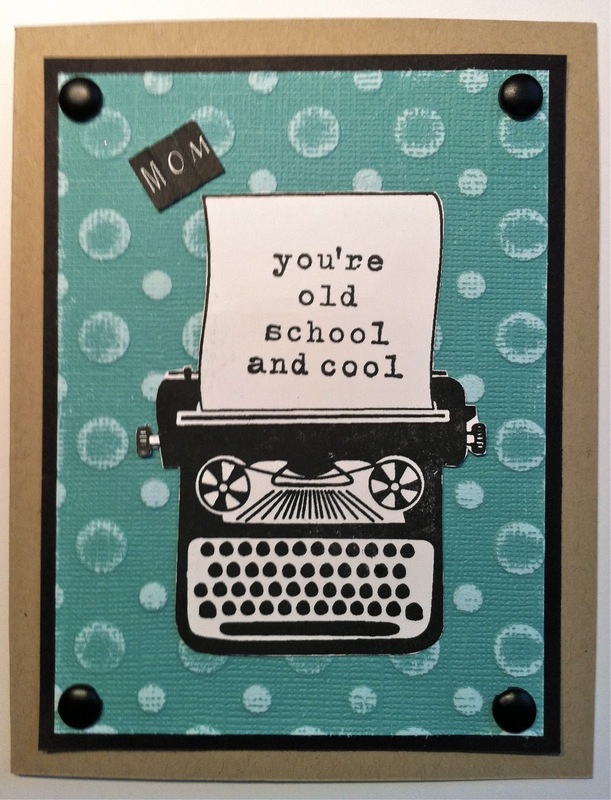 Stamp Typewriter and sentiment on Whisper White card stock and cut out with paper snips. Love your bright cheery cards! Just stopping by from HA flickr group to say hello. This card is so sweet!